Tiffany Haddish attends PORTER's Third Annual Incredible Women Gala at The Ebell of Los Angeles on October 9, 2018 in Los Angeles, California. Tiffany Haddish complemented her suit with gold pumps by Brian Atwood. 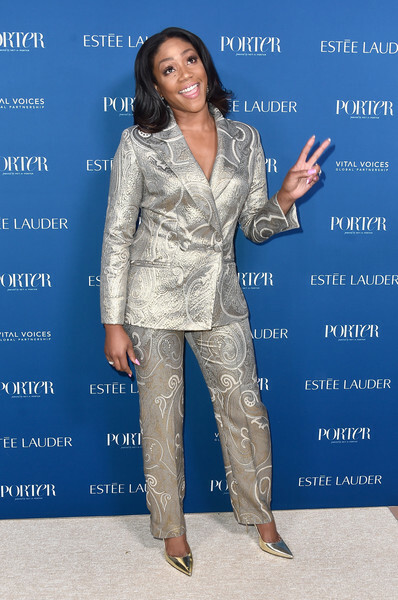 Tiffany Haddish shone in an embossed silver pantsuit by Georges Chakra at the 2018 Incredible Women Gala.